The next upcoming Tax Day is on Monday April 15th, 2019. Tax Day is April 15th of each year (unless changed by federal government for that year) and marks the final day to file your income tax returns with the Internal Revenue Service (IRS). 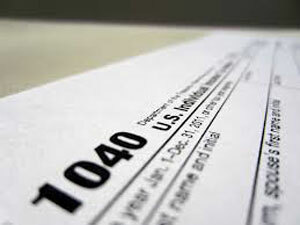 If Tax Day falls on a Saturday, Sunday or holiday the deadline to file taxes will be extended to the next working day. This date can be flexible if an extension is filed prior to April 15th. Americans have till April 15th to report all income related activities for the prior year and pay any additional or back taxes. Tax returns are filed both by paper and in the mail or by electronic method online. Many people hire an outside company to do their taxes for them and pay a fee for that service. The Federal income tax was brought in and removed several times before the 20th century always found to be unconstitutional in court. The Sixteenth Amendment to the Constitution of the United States was ratified in 1913 allowing congress to tax all incomes. The first filing deadline was March 1 for individuals and was changed many times to its now current date of April 15th each year.